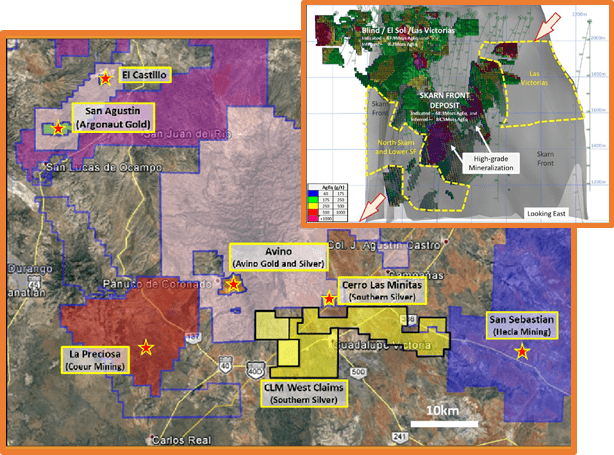 Southern Silver Exploration Corp. is a Canadian-based precious/base-metal exploration company focused on acquisition, exploration and responsible mining development in Durango, Mexico and New Mexico, USA. 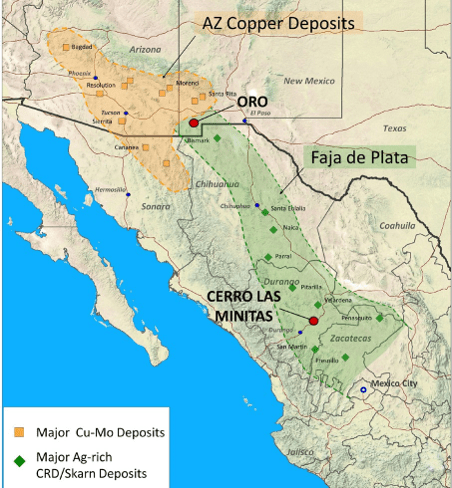 In the Faja de Plata (The Belt of Silver) in north-central Mexico, 70 km by road from the city of Durango, exploration and development on the Company’s flagship project, the 265km2, Cerro Las Minitas property has led to identification and delineation of four mineral deposits (the Blind, the El Sol, the Las Victorias and Skarn Front). The Company has recently completed an internal Scoping Study and advanced metallurgy and a +10,000m drill program is well underway with two drill rigs testing both the main CLM Ag-Zn-Pb claims as well as the new epithermal CLM West Au-Ag-Cu claims with all leading to an anticipated PEA during 2019. The Skarn Front is the largest mineral deposit in the CLM project comprising 70% of the total Mineral Resource. This new deposit is generally thicker with better continuity than the Blind and El Sol deposits. 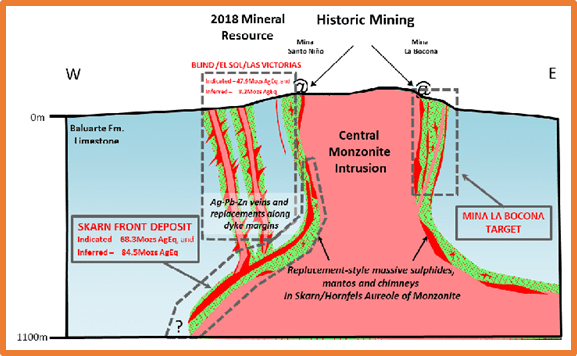 High-grade mineralization forms near the intersections of the Blind – El Sol zones with the Skarn Front.